I am greatly honored to play a part in finding a solution to your organizations human resource challenges. High employee turnover has been identified as a key problem ailing, not only Merchants Bank, but other thousands of small and medium sized organizations as well. Your organization’s efforts to arrest this problem come early enough because this is a problem that could have stagnated productivity and growth for several years. I am glad to mention that the recommendations I have provided in this report have been tested and successfully implemented in other organizations that experienced similar HR turnover challenges. Merchants Bank is a small retail bank that has continuously faced the problem of employee turnover. The turnover rates are high among the front desk employees like customer care, receptionists, and tellers. For this reason, I have been requested to research commendable approaches of reducing the menace employee turnover. Merchant Banks is located in a developing cosmopolitan town populated by agricultural farmers and service industries. Prominent commercial banks have also established mini-banks at this town in order to reach clients who are in need of financial services such as loans, money deposits, transfers, mortgages and many others. The fluctuation of Merchants Bank’s yearly revenues has been closely associated with the high rates of employee turnover. The purpose of this research is to point out recommendations on human resource practices that Merchants Bank can use to develop and retain front desk staff for longer. Research materials and sources will include journals, credible websites, published reports, and other forms of print. The recommendations will be based on the best human resource practices that have been tested and effectively used by HR departments in closely related industries. Owing to these challenges, there has been strong demand for the human resource department to create structures that reduce rates of labor turnover. This forms the main focus of our research and purpose for compiling labor turnover prevention strategies. To achieve successful front desk-employee retention, recommendations that will be proposed on this report will meet any of the following criteria. 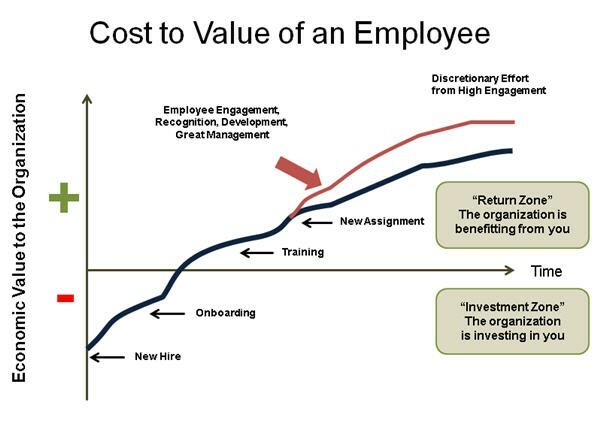 According to Scholars Shamsuzzoha and Shumon, employee turnover is the most costly and intractable human resource challenge that can incapacitate crucial operations of a functional organization (Shamsuzzoha and Shumon, p.64). This problem must be given urgent attention at any organization and failure to do this could undermine the organization’s productivity. Whether employee turnover is caused by push or pull factors, an organization must act promptly and prevent employee pilferage if they wish to remain competitive (Shamsuzzoha and Shumon, p.65). Small businesses may find it difficult to sponsor employees for further education especially when the employees are at work. However, organizations have used education incentives and sponsorships to inspire employee morale and make them committed to their jobs on long time (UNDP, p.7). According to survey information on European companies, it is common practice for businesses to add value on their employees by sponsoring part or full education fees that their employees require to pursue higher education (CEDEFOP, p.39). This cost sharing approach enables employees to advance in educational training and gain better qualification. The CEDEFOP report states that “financial incentives are also a powerful motivating tool for workers to resume their education and training, where they allow individuals to lead their career development and learning and to choose their training” (CEDEFOP, p.40). At times, businesses that sponsor their employees get into agreement with the employees so that they will supply the skills learnt for a period before they can quit. Human resource managers can motivate employees by allowing them to make flexible arrangements at the work place. This means that the employees get freedom to bargain activity schedules once in a while so that they are able to take personal development programs (Future of Work Institute, p.6). Among the common arrangements that are offered include home working, job shares, part-time working, compressed hours, variable hours, dual roles, career breaks, and flexible benefits among many others. The 2012 flexibility report by Future of Work Institute mentions that “flexibility enables employees to operate in an environment that best suit their personal working styles and allows companies to respond to fluctuations in workload” (Future of Work Institute, p.7). Remuneration policies can be made adaptive such that employees’ wages are increased on timely basis, performance basis, and development basis. An organization can offer pay adjustment based on the time an employee has spent on the pay level and this is what is called the time-based progression (United States Office of Personnel Management, p.7). Performance based pay is a remuneration progression strategy based on performance appraisal (United States Office of Personnel Management, p.8). Development based pay adjustment strategy is based on the personal development initiatives that the employee has taken and the attributes or skills they have gained (United States Office of Personnel Management, p.17). Payment can be designed such that the three adjusted bases are incorporated in the HR strategy. Merchants Bank needs to have a clearly outlined progress path so that its front-desk employees can understand what is in store once they take responsibilities at the retail bank. Precisely, three human resource strategies have been identified and suggested to facilitate employee retention at the retail bank. The goal of each strategy is to enforce a retention culture in the organizations HR department. In order to weigh the relevance of the three strategies against the employee retention goals identified earlier, we drew a comparison as follows. Effective immediately, the human resource department at Merchants Bank should incorporate the best practices suggested in this report if they intend to retain the current front-desk employees. It is also important to emphasize that HR policies should be made as flexible as possible so that productive suggestions that will be brought forward in future will be easily adopted.